Visiting the California wine country should be on everyone’s bucket list! Not only does this state contain some beautiful parks and abundant recreation, but it’s also overflowing with gorgeous wineries and vineyards. Going on a wine tour is a beloved activity here. One spot you won’t want to miss is Newsome Harlow Wines; they have some of the most delicious wines waiting for you here. Discover what else this California winery has to offer and add it to your California vacation itinerary today! Newsome Harlow Wines is found in Murphys, California. Frequently referred to as “the Next Napa,” this town is filled with numerous wineries; there are over two dozen! Newsome Harlow Wines is tucked away here at 403 Main Street in Murphys. This winery is dedicated to creating some of the tastiest wines for their many visitors. They offer a wide variety to satisfy all different tastes and make sure they have something for everyone. Each of their exquisite wines comes straight from their vineyards in the Sierra Foothills. The winemakers put a special emphasis on balance and strive to maintain vineyard consistency. A few of their favorite wines include the Newsome Harlow Train Wreck, Drama Queen, and The Deviant. Take a look at their website to see their full wine spectrum. You can even purchase it online! This winery wants to ensure everyone who visits has the best experience possible! There are numerous Newsome Harlow Wines events held throughout the year to entertain the community. Some of these events include live concerts, special tastings, open houses, release parties, seasonal festivities, and much more. Be sure to follow the Newsome Harlow Wines events calendar so you don’t miss anything! You can also “Like” their Facebook page for the latest updates on upcoming events, new wine announcements, and more. If you want to try more amazing California wines, you should visit the nearby Hatcher Winery and Twisted Oak Winery as well! You’ll want to stay in the finest accommodations while enjoying the California wine country! 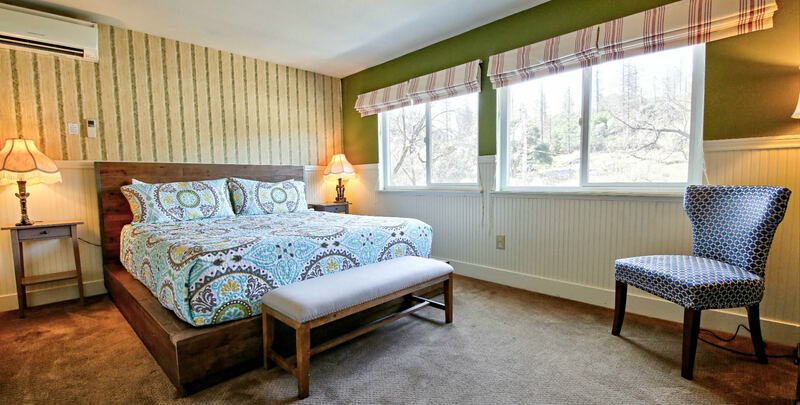 Hotel Charlotte is a historic bed and breakfast in Groveland, California, located at the gateway of Yosemite National Park, that offers luxurious lodging and amazing amenities. Choose from staying in one of our twelve lovely rooms or renting one of our cozy apartment rentals. You can explore the many attractions of our surrounding town of Groveland, adventure through the magnificent Yosemite National Park, or simply spend time in our peaceful environment; we have an beautiful living room, friendly and helpful staff, and even our very own Fork and Love Restaurant to accommodate all of your needs! Don’t wait another minute to start planning your dream vacation; check our availability and book your stay today! Download our free Vacation Guide today to discover more wineries like Newsome Harlow Wines, as well as the best things to do in Groveland, CA, and its surrounding areas.